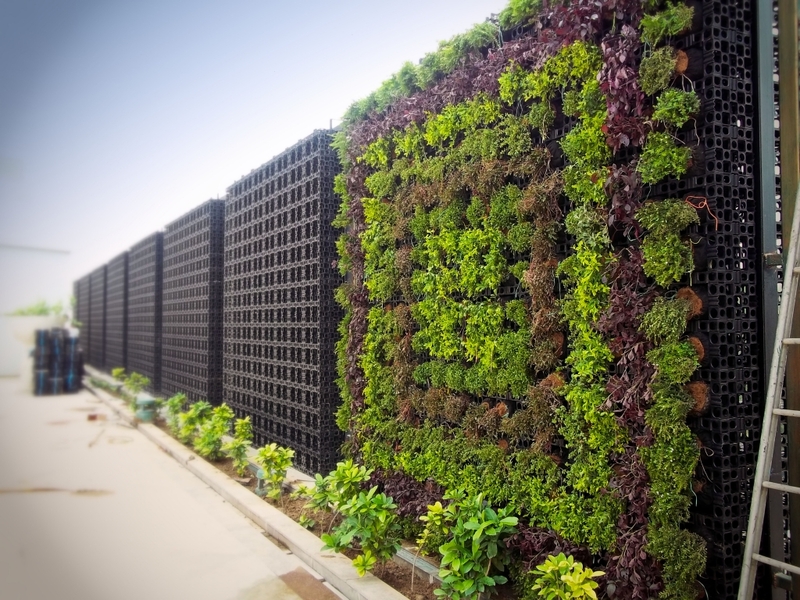 Create lush, beautiful vertical gardens, indoor or outdoor with Atlantis Gro-Wall™ PRO modules. Atlantis Gro-Wall vertical garden system is truly modular with individual plant access and both vertical and horizontal system expansion. Easily create self supporting vertical garden screening walls with a heavy duty design able to support larger and freestanding projects. Atlantis Gro-Wall PRO vertical garden system is easy to maintain and irrigate. The modular nature of the system allows access to individual plants for adding fertiliser if required. Liquid fertiliser and nutrients can also be fed through the drip irrigation system. Conventional drip irrigation system is installed on the top row of the Gro-Wall™ PRO vertical garden. With the aid of gravity the remainder of the system is irrigated with water dripping vertically from plant to plant.